श्री Ram Institute of Hotel Management, Dehradun is the only Institute in the region which is authorised by the Government of Uttarakhand to provide a Diploma in Hotel Management. श्री Ram Institute of Hotel Management, Dehradun offers quality education in Hotel Management and Catering Technology running under the menegement of Shri Said Ram Foundation, along with the Institute of Food Craft Technology (IFCT). The Society aims at creating knowledge centres in the field of education, training, research and consultancy, thereby creating and adding value to the hospitality industry, community and the nation at large. 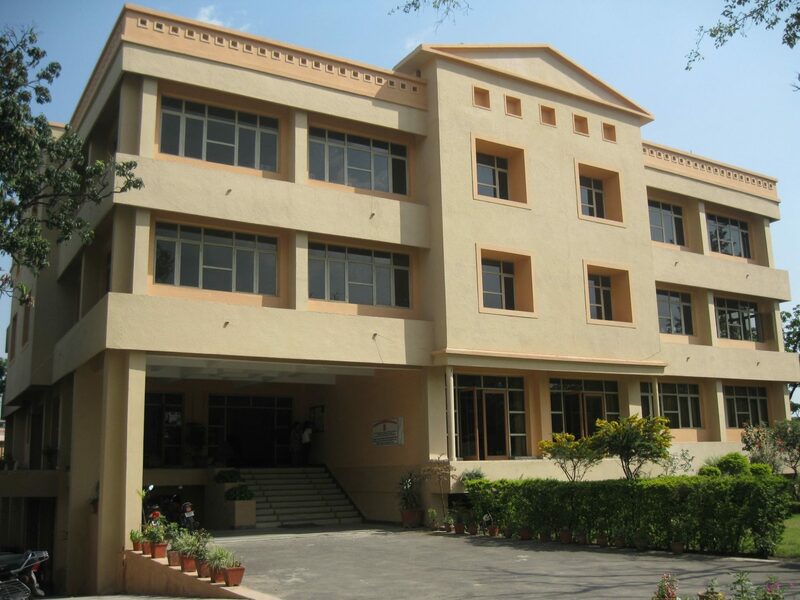 In its quest for becoming the architect of change, श्री Ram Institute of Hotel Management, Dehradun (RIHM) opened its doors to the students of Uttarakhand (then Uttar Pradesh) in the year 1997. Affiliated to Sri Dev Suman Uttarakhand University, RIHM offers its students a Bachelor Degree Programme in Hotel Management. Founders of RIHM believe education to be paramount in one’s life. It is for this reason that RIHM is so determined to mould our students into young apprentices in a professional environment. RIHM, with the help of excellent faculty and guest speakers, gives these young students their best chance in the hospitality world by enhancing their skill through hard work and practical sessions. The vision of RIHM is to make its students capable enough to meet any and all challenges of tomorrow, making it the best hotel management institute in the country. Over two decades ago, the management of Shri Sai Ram Foundation felt the need for a quality, professional institute in the Doon valley to fulfill the long cherished demand of the people of this area. With this objective in mind, श्री Ram Institute of Hotel Management was established in Dehradun. Since RIHM has been established, the youth of Uttarakhand has not had to leave the state and go outside; they ahve been able to pursue hotel management in Dehradun itself. The reason why people consider RIHM the best college for hotel management is because of the meticulous attention paid to each student at the Institute. RIHM is the only institute in the state of Uttarakhand which is capable of provididng world class education in Hotel Management & Catering Technology. Baking is one of the oldest professions in the world and is a highly dynamic and innovative culinary technique. Baking as a profession has become very popular. Since every auspicious occasion or celebration like a birthday or a festival is enjoyed with some sweets in India and the world, baking has been a popular profession since times unknown.